SOLD Botanical Original Acrylic Art Painting on Canvas of garden flowers, wildflowers, bees by Laurie Rohner. 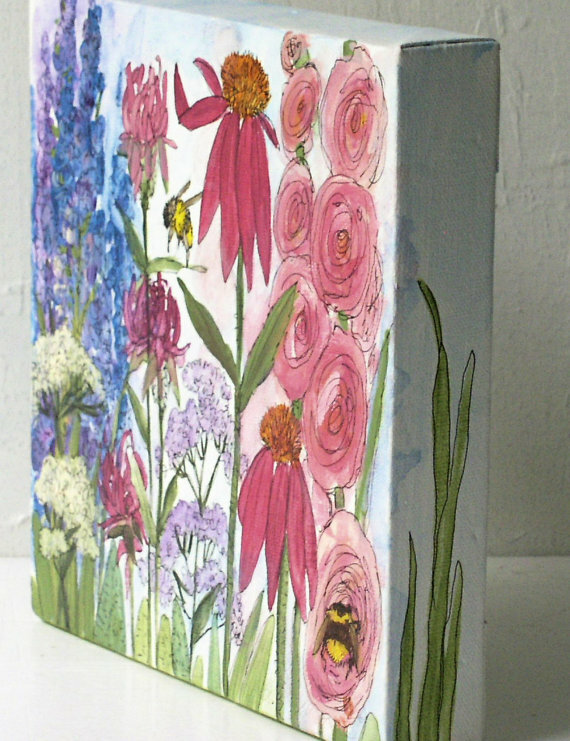 Botanical Nature Art Original Acrylic Painting of Garden Flowers and Bees. 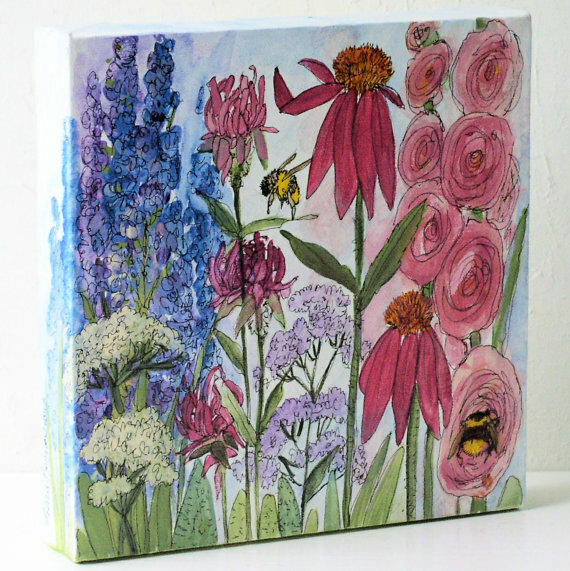 Botanical nature art is an original acrylic painting of garden and woodland flowers and some bees is hand painted by Laurie Rohner. 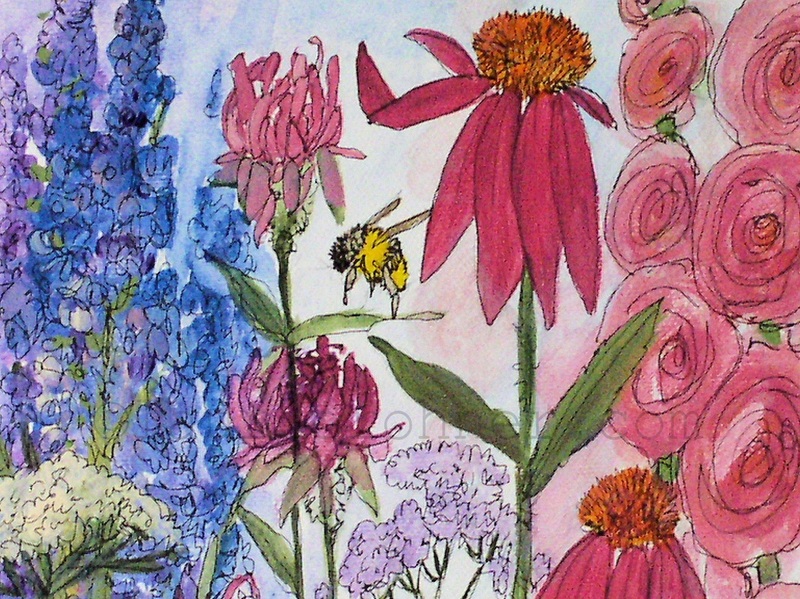 This painting is all about bees and garden cottage flowers in bright lush colors. 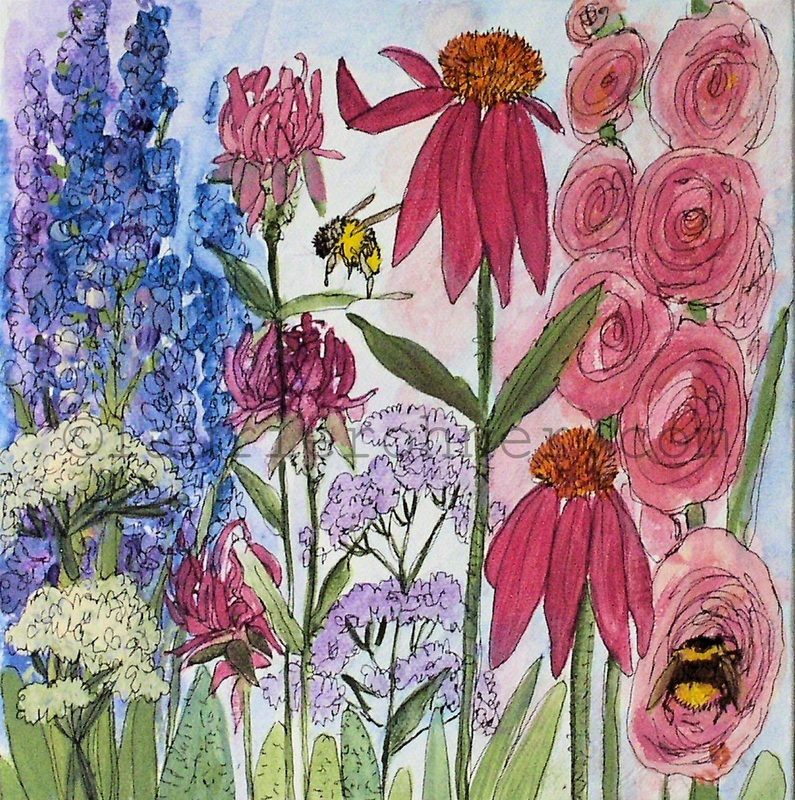 I painted pink coneflowers, minty herbs, larkspur and delphinium, queen anne lace, bee balm and hollyhocks and one or two bees too. 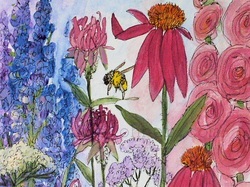 It is fun and whimsical. 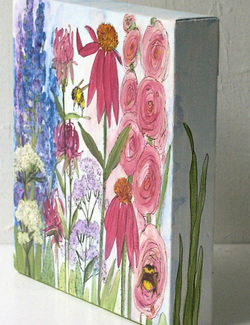 Hang it anywhere you want a reminder of nature in full bloom.